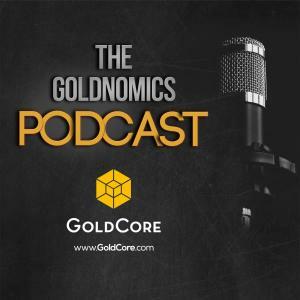 Silver Guru – David Morgan, joins Mark O’Byrne for Episode 8 of the Goldnomics Podcast. Talking about silver and gold and how they will perform as the current fiat monetary system continues to feel the pressure of money printing, quantitative easing, trade wars and geopolitical tensions. 00:15 - Meet silver guru and world’s leading expert on precious metals David Morgan. 02:00 - Currency crisis in emerging markets and the future prospects of gold and silver. 04:30 - What's the outlook for gold and silver, especially in areas having a currency crisis? 04:40 - Crisis expected for anglo-american empires fiat currency but difficult to predict when. 05:33 - Are metals currently weak and undervalued? 07:17 - When will fiat currencies end? 09:20 - Possible scenarios for the end of fiat currency regime. 12:46 - Gold-backed Yuan: what should we expect? 13:43 - Yuan as a reserve currency, how possible? 16:00 - Global economic uncertainty, the end of fiat currency and prudent asset allocation. 19:35 - Lending to Australian & UK banks: are European banks exposed? 20:09 - Precious metals allocation in the wealth mix. Is 20% enough? 25:14 - Upcoming crisis: what's the right strategy for exiting the market? 26:02 - Protecting your wealth: avoid round tripping. 26:23 - Easiest way to tell if gold is overvalued. 30:10 - Precious metals manipulation: true or false? 31:11 - Sharpe ratios, frauds and manipulations. 33:25 - Manipulated markets: making the right investment choice. 36:43 - Choosing the right storage means/vendor for your precious metals. 40:39 - Is debt jubilee a solution to today's financial challenges? 41:30 - Government Debt: the worst and most unsafe asset allocation you can have. 43:00 - Is the end of the banking cartel in sight? 44:53 - Powerful creditors: should we expect a debt jubilee anytime soon? 45:54 - Is there a need to change the structure of the monetary system and how money works? 49:17 - Moral and spiritual awakening: a key to overcoming current significant financial pitfalls.